As early as 11,03 € month financing with a maximum maturity of 18 months; total amount 198,54 €; Bound annual borrowing rate 5,74 %, effect. APR 5,90 %. These figures are also the representative example in the sense of §. 6a paragraph 4 PAngV Agencies are exclusively by BNP Paribas S.A. Niederlassung Deutschland, Standort München: Schwanthalerstr. 31, 80336 München. 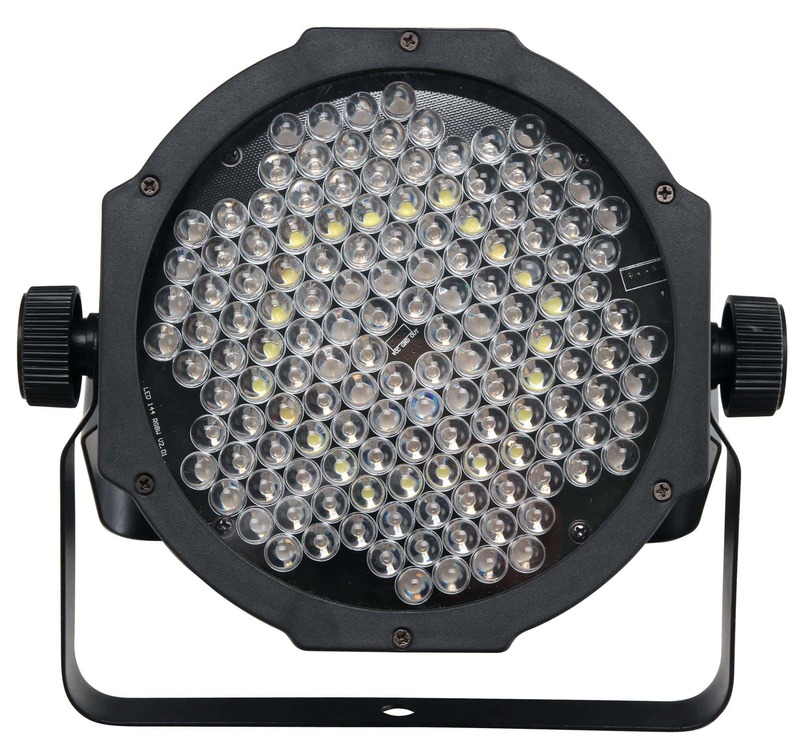 These are particularly powerful and bright shining lights with their 10 mm LEDs. 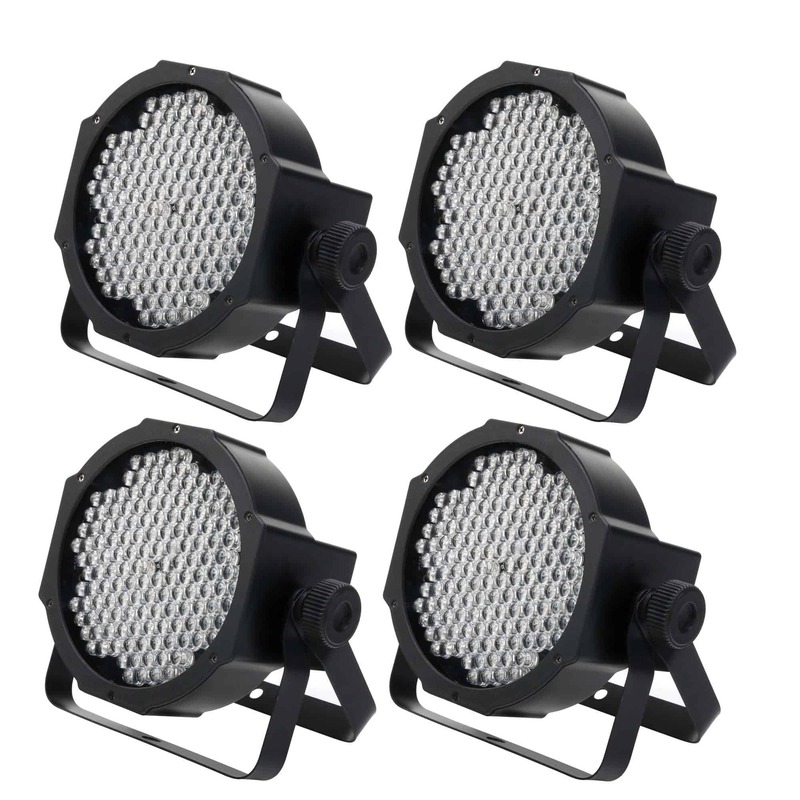 They are perfect for use as backlighting or for using as accent lighting on stages, in halls or in clubs. The RGB technology allows each color to be mixed continuously. 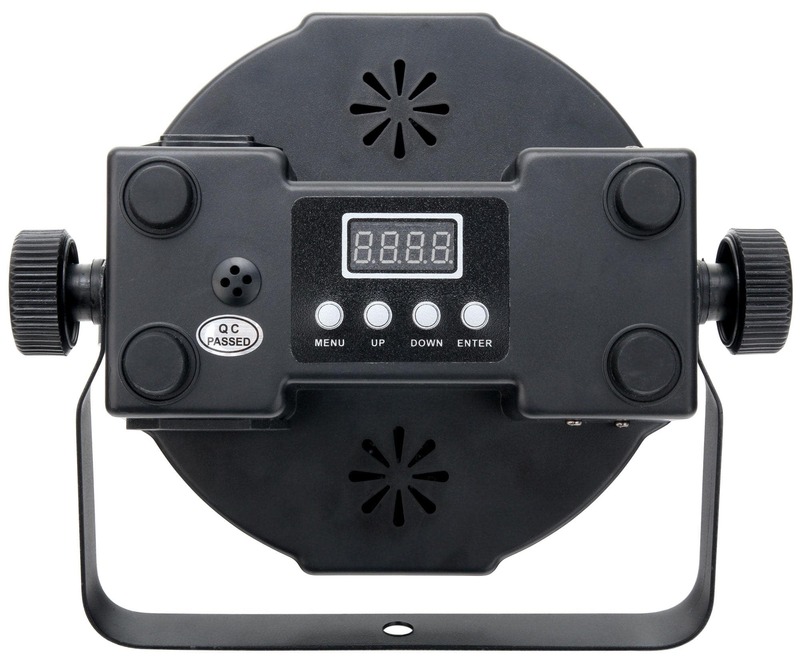 The floodlights can be used with any standard DMX controller or operated with built-in stand-alone functions. Color change and speed are controlled with the back switch. 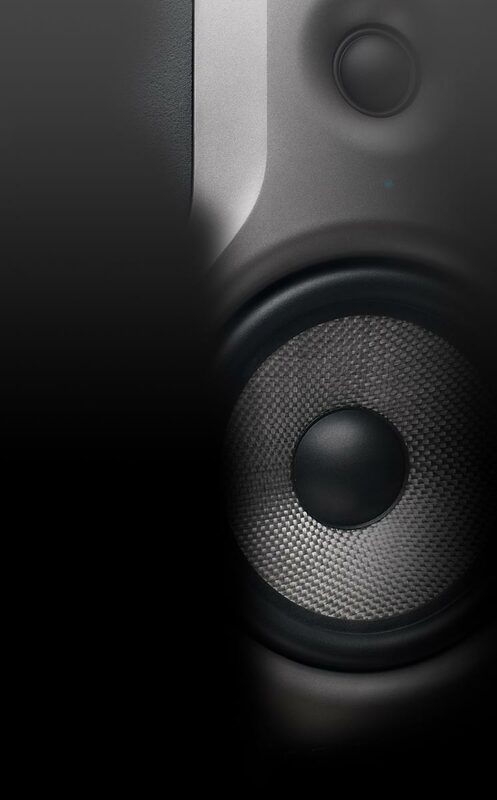 Of course, the flatline can also be clocked via the integrated microphone. Some of the advantages of the LED technology: the extremely long life of the LEDs, low total power consumption, minimal heat emission, almost to waiting time for brilliant light. Thanks to IEC outlet, the FLP-144 can be looped with the current via an optional cable, allowing you to loop several FLP-144s (but not other devices!) via a serial connection in order to save power outlets. 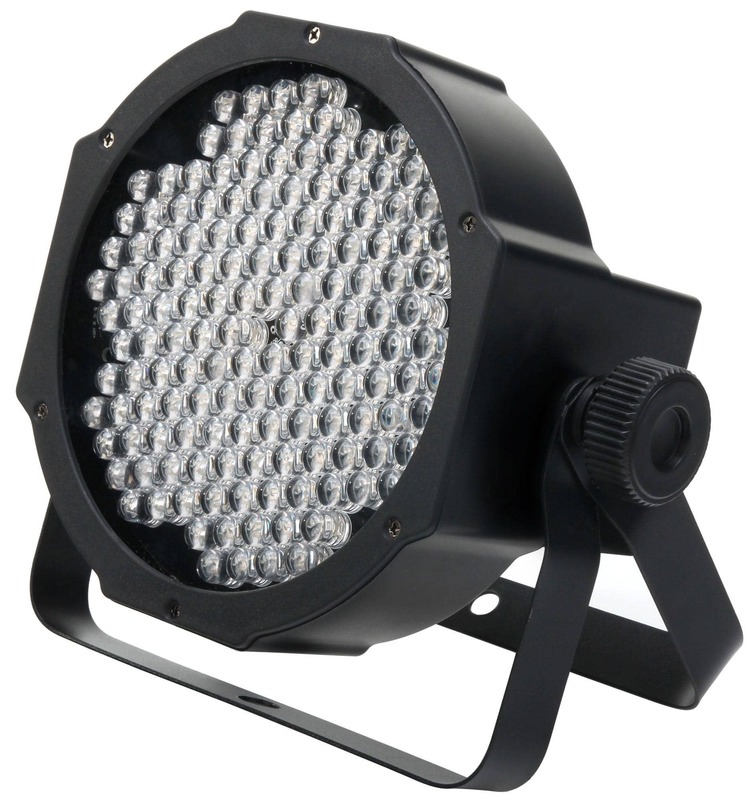 Weighing in at only 1.5 kg and having small dimensions, the FLP-144 is a light and ultra-compact spotlight.